Cadmium Red Scarlet Hue – A festive, versatile red with an orange cast. We’ve done it! 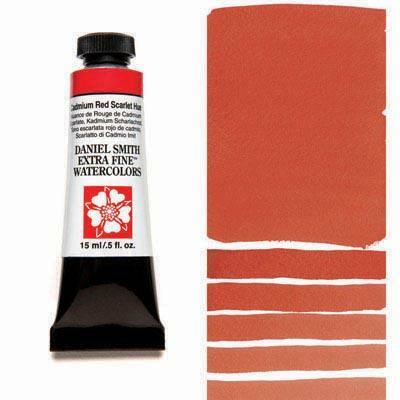 Safe, Vibrant Cadmium Hue Watercolors! Our new formulas provide all the density and richness of classic cadmium colors. Our hues are virtually identical in color to their namesakes, but cleaner in mixtures and stronger in tints – you’ll find a little goes a long way. Working properties – staining power, semi-opaque and excellent light fastness – are also nearly identical to those of the low-soluble cadmium colors we previously offered.